The following ports and IP addresses must be unblocked before signing in to Dispatch. Dispatch requires the minimum system requirements are met. File download in Internet Explorer (IE) must be enabled. From the Top menu, navigate: Tools > Internet Options > Security. From the Security tab, click Custom level. 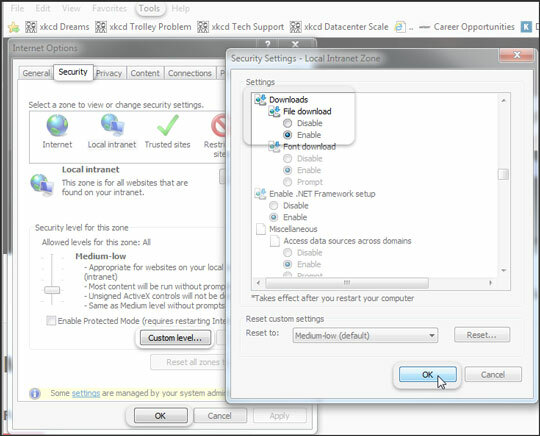 From Security Settings, navigate down the Settings section then locate 'Downloads' and ensure the File download radio dial is enabled. Click OK then OK again to close Internet options.